Already addicted to the elote at Impala! Perfectly charred corn on the cob is rolled in housemade aioli and crumbled cotija cheese, then topped with chopped cilantro. Squeeze some fresh lime over top and you have heaven on a plate! 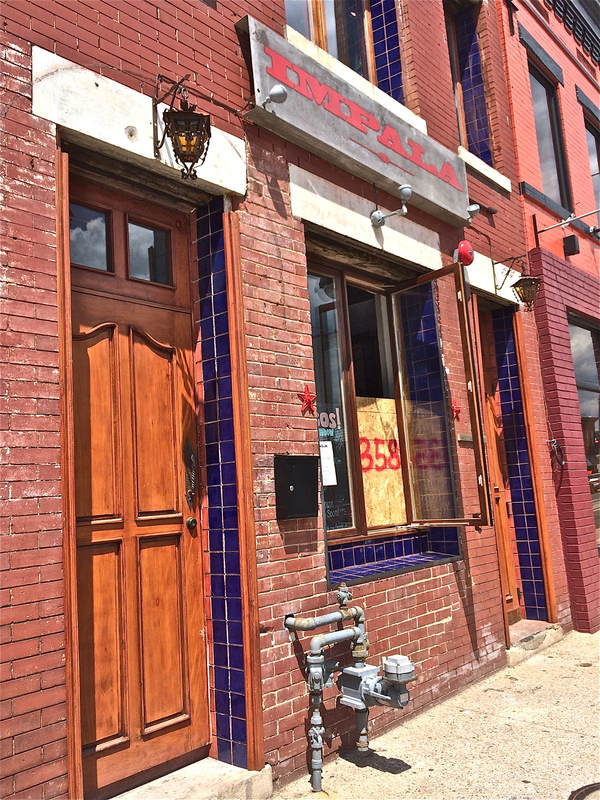 H Street and Capitol Hill dwellers have been drooling in anticipation of the Impala Taqueria opening ever since co-owner Troy Hickman and his buddy Erik Bruner-Yang (you know, the guy that owns that little noodle shop down the street?) doled out tacos from the Philly Water Ice window in 2010. 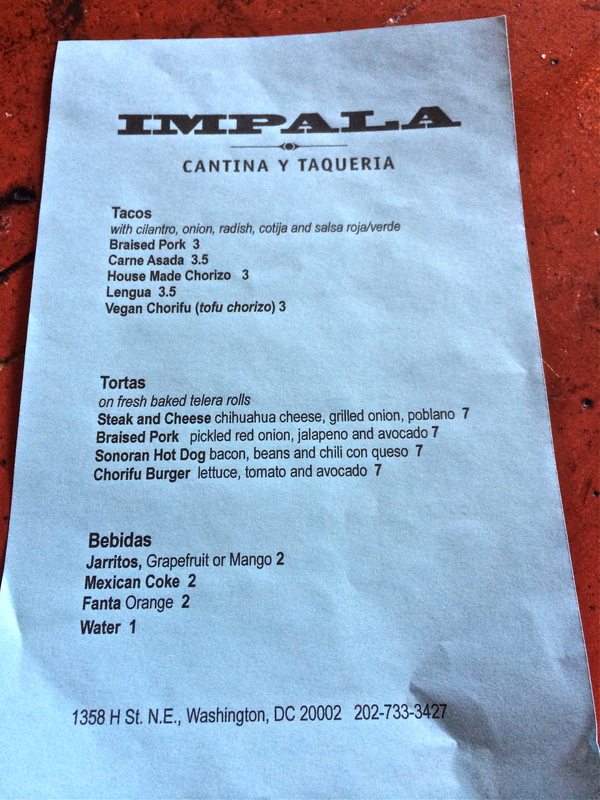 At long last, the Impala Cantina & Taqueria opening is upon us! Almost. The owners still won’t commit to an opening day, but assure me that it will be either Wednesday or Thursday. For details on the full menu, check out the piece I wrote for Eater DC. And for the photo tour, just keep on scrollin’! Here’s the limited menu they’ve been serving out of their window for the past couple of months now. The full menu will have a LOT more options, including one of my all-time fave Mexican dishes: elote! (Grilled corn rolled in delicious things like chipotle aioli and cotija cheese.) Again, more details on the menu can be found here. The restaurant is full of custom-made furniture crafted by the artisans of Tonalá, a Mexican town known for its cavalcade of artisan craftsmen (and women!). 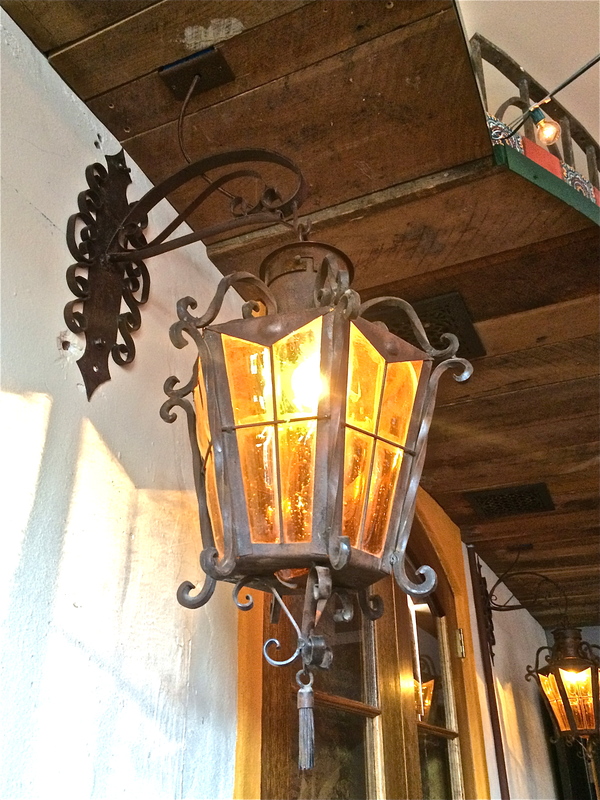 Owners George Grau, Troy Hickman, and Ian Holt visited Tonalá and its neighboring towns personally in search of beautiful pieces and inspiration for the custom designs that they commissioned from the artisans of Tonalá. The results are pretty breath-taking. 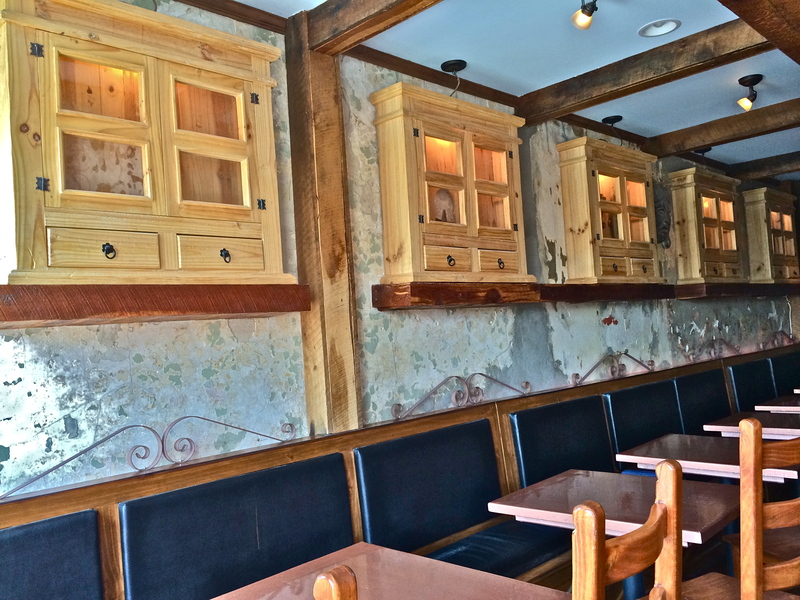 The display cabinets on the walls, the wooden banquettes, and both bars were all custom-made for Impala, and no detail was spared. 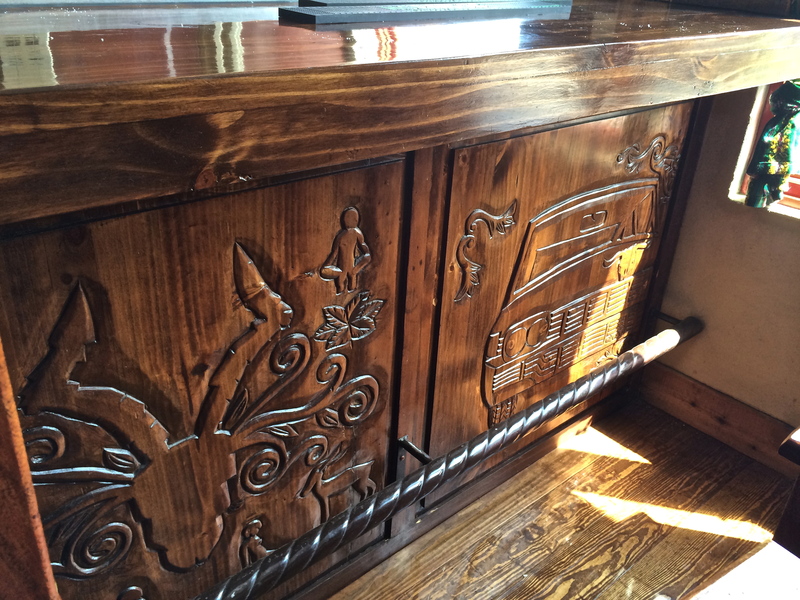 The hand-carved bar on the upper level of the Cantina is one of the most impressive pieces – again, courtesy of the artisans of Tonalá. Check out that exposed brick wall to the left of the bar. It’s was originally the exterior wall for the next-door building, and you can still see part of the old advertisement/mural that presumably took up the entire wall before the Impala space was built. 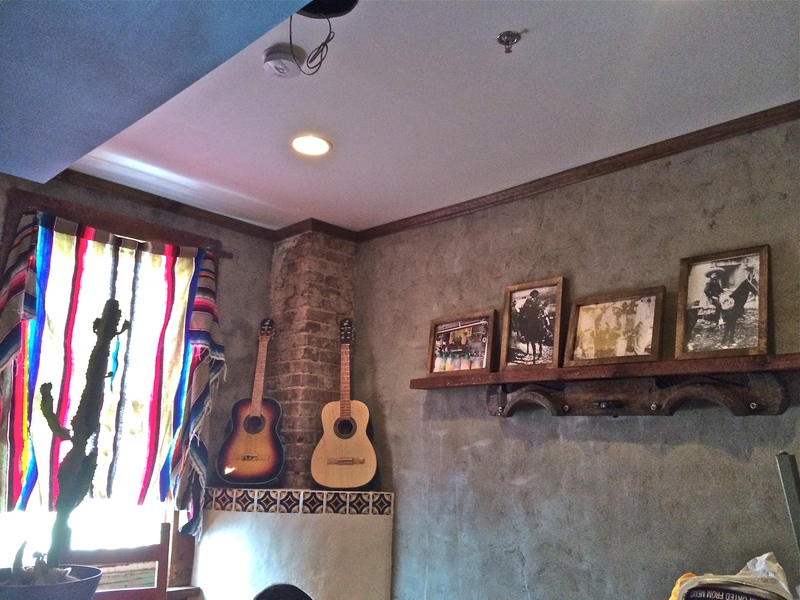 There’s only one room at Impala that even vaguely resembles your typical cheesy Mexican restaurant. (You know, the kind that look like a pinata threw up all over the place?) Owner Troy told me that this was their one nod to that particular “tradition” – hence the colorful blanket and the cactus. But even this room is chock-full of gorgeous and rare design details. For instance, look closely at the shelf holding up those pictures – it’s actually a yoke for burros! 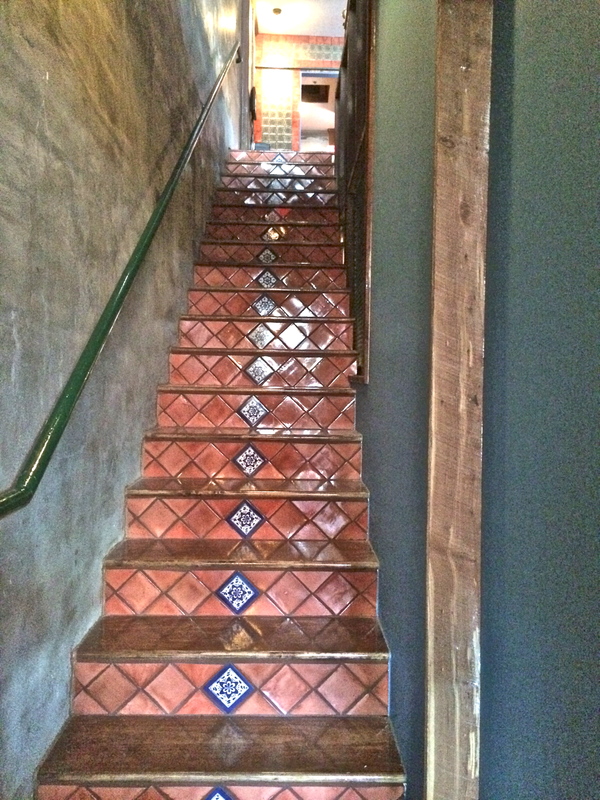 The restaurant is also full of beautifully painted ceramic tiles, all straight from Mexico. 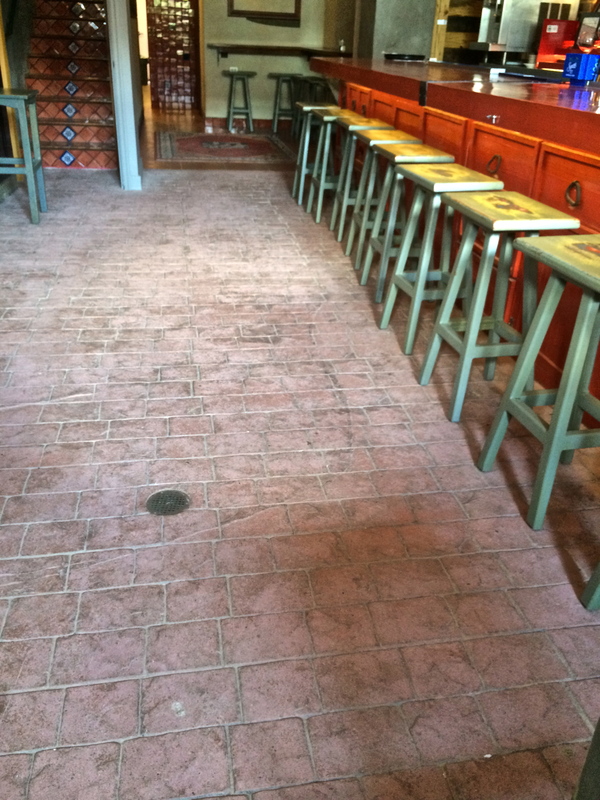 The stamped-concrete floor of the downstairs bar is one of my favorite details. It matches the exterior courtyard perfectly, and so when the doors to the patio are opened, it feels like it’s all one giant courtyard. 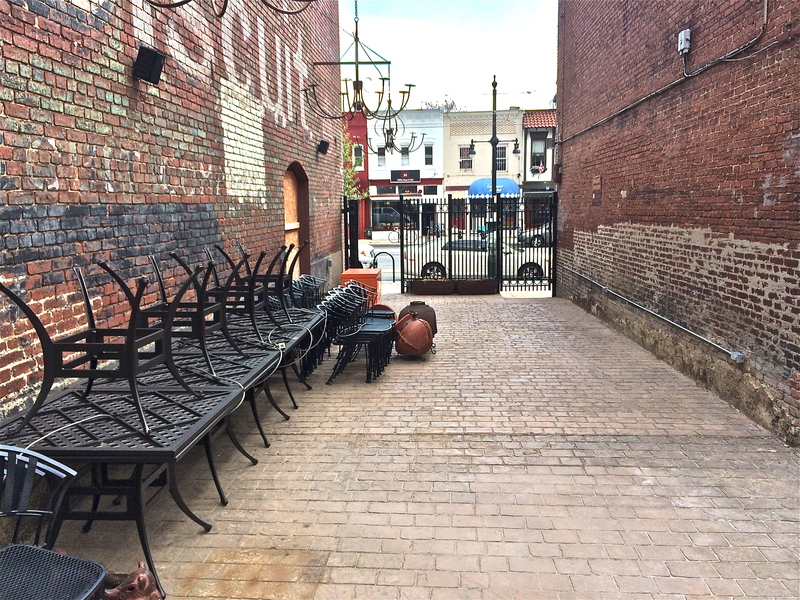 And when the doors are shut, you still get to enjoy that courtyard-esque feel. The courtyard itself is pretty fabulous too. 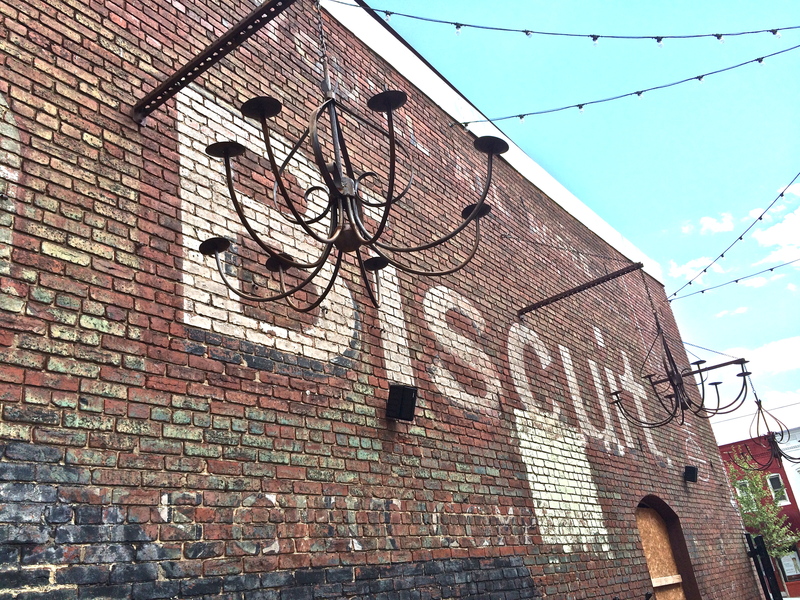 I LOVE the metal chandeliers up top, and again, am really digging the old-school mural/advertisement that remains from the building’s former life. The entire space is filled with beautiful, unique, and ornate touches like this absolutely gorgeous lantern. Some of these touches were imported from Mexico, some were custom-built for Impala, and some are remnants of the building’s past. All of these elements combine into a pretty fantastic – and fascinating – space.